Why should you choose OpenCart for your eCommerce startup? Why OpenCart is the best option for eCommerce startups? The eCommerce market is getting competitive day by day. Choosing a perfect eCommerce platform has become the most crucial task with an aim to achieve the business objectives. Businesses can grow to an immense height with right opportunities and right resources. The eCommerce platform you choose for your startup business is one of the important resources. OpenCart is one such eCommerce platform that attracts the eCommerce startups with its ease of DIY. Cost effectiveness is the another factor which makes it more suitable for startups even with lower investment budgets. Most of the OpenCart website development services offer a very decent price quote for almost all the OpenCart development services. Comparatively, Magento, Shopify, osCommerce and PrestaShop development services are a bit heavy in your pockets. No doubt, they possess certain advantages against the cost-effective platform, but OpenCart is not at all in disadvantage against any of the popular eCommerce platforms. simple installation of an OpenCart platform on your server. OpenCart allows you to build an eCommerce website with some simplest procedures. 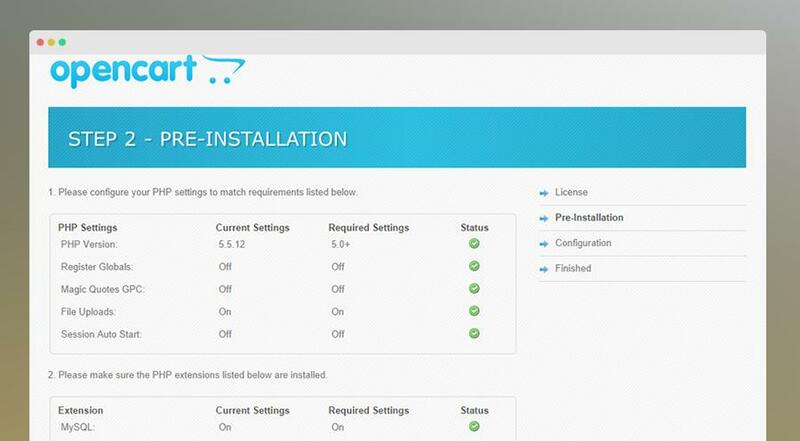 Once you are done with the installation, you need to follow some simple steps to select an OpenCart template and start adding products thereafter. Your site is ready to accept orders and do some business. OpenCart can include a large number of Addons to extend the basic functionality. OpenCart is a self-efficient eCommerce platform with all the required features and functionalities already available in a single package. The built-in template system enables the admin to switch between templates or change the current look of the OpenCart site. Moreover, the custom addons and template development services of OpenCart are always cost effective. It is real easy to extend the features and functionalities of an OpenCart website with these custom yet economic OpenCart website development services. OpenCart present the easiest website maintenance access. Website maintenance is something that even the experienced developers might struggle with. With OpenCart, small to medium websites can be managed easily without an involvement of professional webmaster. Admin can add products, product images, categories, meta descriptions and configuration the shopping option with struggling. Almost all of the popular payment options are available and can be integrated easily with your OpenCart site. In case of facing any issue with the website configuration, affordable OpenCart development services are always available for sorting these issues. OpenCart is available in 17 different languages from around the world. The website can be translated in any of the 17 languages easily. From front end to the administration panel, the website can be fully translated to convert the international customers. For a cost effective startup business, OpenCart’s multi-language facility is a bonus and a great opportunity to go beyond the international borders. For any eCommerce business, it is very important to keep track of the sales and other activities on the website. With OpenCart default system, you get three types of reports. Sales report calculating sales happening by day, week or months. Product view reports showing the performance of products on the website. It also shows which product has been seen most by the visitors. Product purchase report shows the sales report of the products. With an efficient reporting, you will ever loose the track of your website’s perforce and business development. A website without SEO is just a showpiece with no use. In fact, it won’t even show on the SERPs. In order to provide the website owners with best Search engine friendly environment, the OpenCart websites are already optimized for the SEO standards. Let it be the Meta tags and meta descriptions to SEO friendly URLs, OpenCart never lets you down. There are a number of other eCommerce platforms which promise to provide much better eCommerce experience. 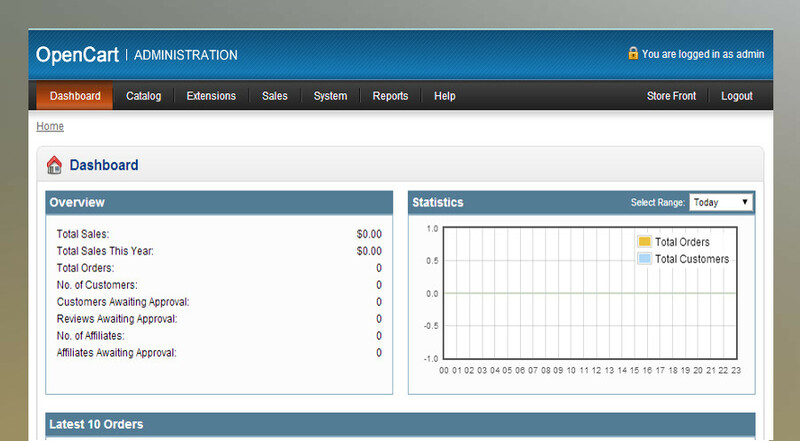 However, the kind of efficiency shown in OpenCart with small to medium level websites is not comparable with others. The cost effectiveness of OpenCart is another point to be noted which makes it a perfect destination for eCommerce startups. Let’s not forget about OpenCart’s flexibility to incorporate various OpenCart addons and extensions provided by third party OpenCart development services. One can bet on this, you will not find the better cost effective maintenance on any other eCommerce platform you choose.